This product is available as a download to the following member(s): "PREMIUM". Download this product by becoming a member today and also get access to over "15,602+" PLR products. This video tutorial is about perfecting multiple income streams that support your income. Unfortunately, with internet marketing, a lot of people turn to the internet to make money without a business mindset . 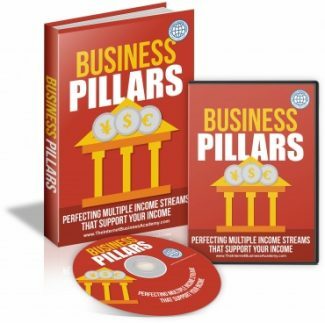 If you're looking to create a BUSINESS and generate income on a consistent basis every single month, month in and month out have money that you can depend than you are going to have to create pillars, income pillars (profit streams) . This video talks about the pros and the cons, about the dos and don’ts... Also, in this video author shares his five business pillars.